Mughli of Kawdara, Srinagar is 75-year-old. She, tends to her small garden diligently early morning. Bending over her long rows of Collard cultivars (Haakh), she selects the healthy few and snaps them free. In an hour or so, Mughli amasses a bagful and then sells it to the customers who come at her door, knocking. Her daily produce fetches her meager Rs 200 but that’s more than just enough for this septuagenarian who nurses a nagging fear of losing the rich tradition of Collard cultivation which is teetering on the edge of extinction in this once land-rich neighborhood. Her sons have already expressed disinterest to carry on with this work. They would rather sell off the farm or build a new home for themselves. Many in the locality already have. Mughli’s husband is a labourer. “He is too aged to continue,” she says. 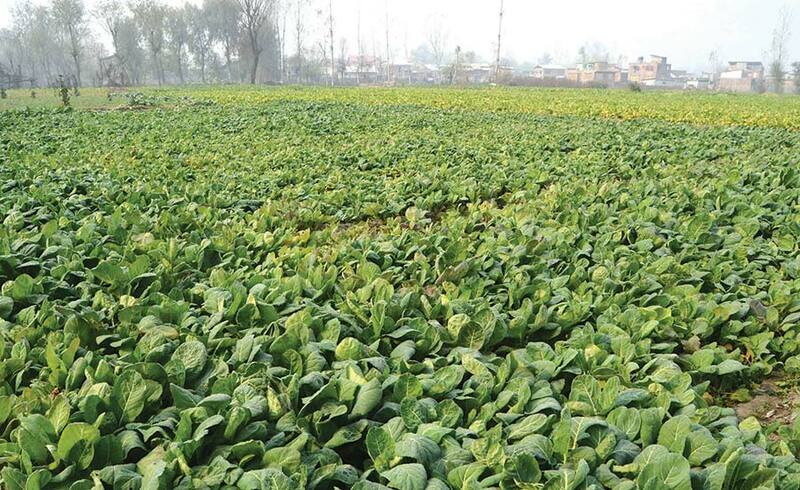 Kawdara along with adjoining localities like Rajouri Kadal, Khanyar, Radpora, Hawal and Chergari Mohalla have this perennial culture where neighbors earmark a certain part of land to cultivate Collards. Early morning, growers mount a sacksful of collards onto their cycles and then set off towards the old city, yelling for the customers. In fact, if the supply line in traced, most of the Haakh sold by the vegetable vendors comes precisely from these areas. Collard is almost a staple for much of the Kashmir valley. It is inextricably linked to regular diet chart of locals. Haakh has a paradoxical aspect. It is one of the most sought after vegetable in the Valley. Yet that does not stop younger ones in the family to often make wry faces at the sight of it. But if the current trend is any indication, Valley’s endeared vegetable might soon spiral into existential crises in wake of fickle weather and increased land use change. 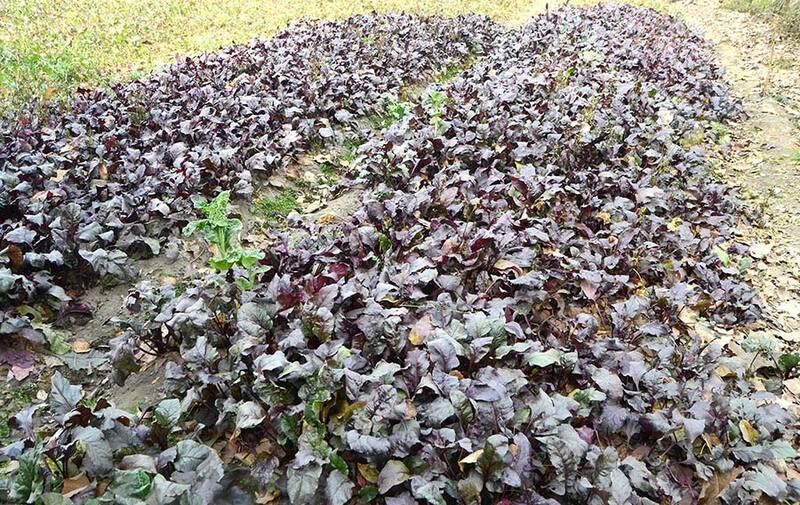 Today, the area where the Collard cultivation takes place has shrunk. Children from the newer generation who grew up to hold the reins found it inexpedient to continue with the tradition. Instead, they built homes. In Radpora, Kawdara, Baba Demb a common gardens still exists amidst a group of houses each owning a kanal or two. They are the remnants of what once used to be sprawling farms catering to the insatiable demand of Haakh among the residents of the old city. Their expulsion from the areas surrounding Dal hasn’t come without the economic implications. Many of them have simply parted ways with Collard cultivation. Perhaps that explains why Haakh prices often skyrocket, catching the consumers by surprise. Of all these, Kawdari are considered to be best because its leaves are more puckered. “More the puckering of the leaf, better the quality,” Jabeen says. SKUAST students brought different genotypes, evaluated them and some of the varieties are in the pipeline. Bakhtoor Sagh, high altitude areas leaves highly serrated, no better in taste but they survive in harsh winters for enriching the diversity. SKUAST is in way has reintroduced the Kale. Selected and recommended to be grown under Kashmiri conditions. It’s a temperate crop. Quality would not be that better outside. Here in winters temperature gets subzero and its TSS content increases. When TSS sugar content increases, starch carbohydrate ratio also increases.